I recently packed up all my stuff (again) and moved to Austin. Unlike when I downsized to move to San Diego, I actually had quite a few things with me (I haven’t counted this time through). It’s been 3 years since I officially had an apartment. Since then, I’ve finished 777, traveled the world, ran across 2 countries, did stints in New York, San Diego, Chicago, Portland, and Barcelona, and shot videos in Iceland and Denmark (keep your eyes peeled). I love travel, but to be honest, I’m a bit worn out so much so – that signing the lease was actually a relief – not a paralyzing decision that I thought it would be. I’ve been here a month and just recently into my apartment, but I figured I’d share why I made the move personally while it’s still fresh in my head. If I listed out my top 100 friends, a huge chunk of them would be in either Austin, Portland or Chicago. If I expanded that to 500 – a huge percentage of them are in Austin (and it seems like more are moving every day). I got tired of fighting the influx. I always want to start my own thing (hopefully soon), but right now, after just being constantly on the road – I needed a place that I didn’t have to work on being social, but could just see people without having to pre-plan weeks in advance. Austin is laid out more like a traditional city than San Diego. The downtown in the center with everything emanating out from the center. San Diego, for all it’s awesomeness, is very spread out. Every neighborhood – PB, La Jolla, Downtown, North Park, South Park, North County is at least 15 minutes away from each other by car. Even though I knew quite a few people in San Diego – it didn’t feel like it as much because you have to work so hard to see them and most people stay in “their neighborhood” of the city. And forget about North County – despite what they say – it might technically be San Diego – but only in name only. Austin on the other hand seems to be laid out (almost too) densely. Everything is 10 minutes (if you’re not stuck in traffic), but the real game changer was the scooters. As ridiculous as everyone looks on them – makes the city incredibly accessible. 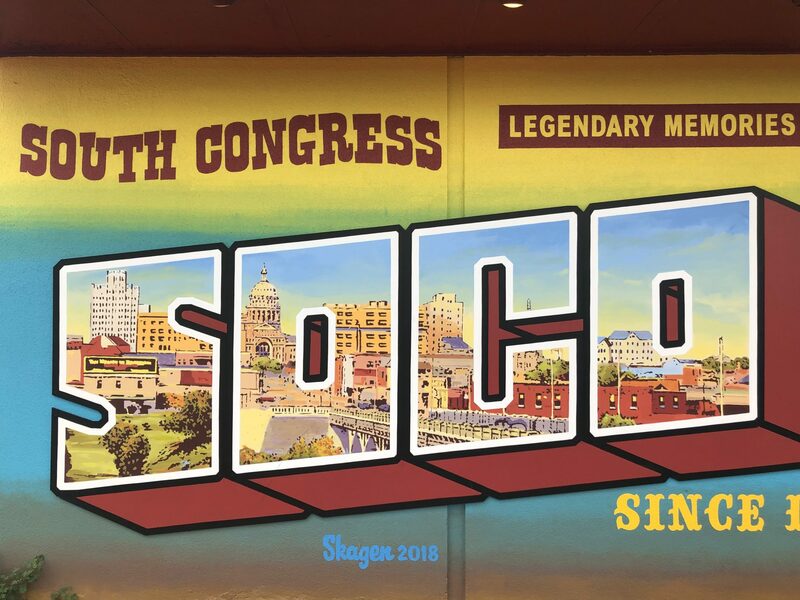 Instead of dealing with traffic, parking or whatever – you can get most places from Soco to downtown to East side in 15 minutes and about $3. And, while it’s not anywhere close to the weather or climate of San Diego. There’s a surprising amount of nature and you don’t feel cut off from it like you might in some place like New York. To be honest – I’m tired of travel. I’m not tired of actually exploring, but I’m tired of the logistics. I wasn’t doing particularly slow travel – so I spent a huge majority of my time booking flights, hotels and figuring out where in the world my gear was. It left very little time to work on my business, grow it or go after my physical challenges. Now, instead of worrying about housing every 5-7 days, I can actually focus up and knock out my medium-long term projects that have been in the works a while (I’ll share more coming soon). One of my things on my IMPOSSIBLE list is to have multiple bases around the world. One of the things that was paralyzing about moving to “a place” was that i didn’t want to be stuck. But Austin isn’t ungodly expensive. I have my own place for a reasonable price to the effect that I can actually have a base and still travel when I want to while still heavily investing back into the business. It’s worth it to me to have a place to come back to – even if I won’t personally live here 12 months out of the year. It works well as “base #1” so I can start to execute some of my other plans. This is a simple thing, but it’s straightforward. Taxes sort of matter – especially when I’m traveling. California is notorious for chasing people down – even when they’re not in the state for months to pay their state taxes. I haven’t had an apartment there for several years and while it’s a great place to visit (I love San Diego), it’s increasingly hard to justify making it a base with huge state taxes when I still plan to travel and the cities have basic problems cleaning up the streets. One of the things I found sort of ridiculous about traveling all the time was that I started to accumulate more stuff. I travel light, but as I kept traveling, I found I would buy certain things when I needed them. Basketball shoes here. A suit there. Winter gear over there. It ended up being that I would eventually already own something I needed – but it was 3,000a-6,000 miles away in another part of the world. So, I would re-buy that thing wherever I needed it. I ended up having 2 or 3 of the same thing (and like 5 podcast mics) spread around the US and the world. It all got a bit ridiculous. For the first time in years, I’ve been able to unpack – all my bags – and see what stuff I actually have. I can get rid of the stuff I don’t use and figure out what’s essential. Hard to do when you’re moving so fast you don’t have time to breathe. As stupid as it sounds – the most exciting thing to me lately has been “getting a dresser” so I know what stuff is where. The main reason I came to Austin is to focus on . business. To be honest, I could do this anywhere I found a reasonable base, but the combination of other entrepreneurs in Austin, affordability, ease of access and the ability to just let me sit down and hustle for the next 3-6 months is really, really refreshing. San Diego might be the nicest place in the US. But, on some level, it’s almost too nice. It makes you feel retired and that’s great – I guess – but I am not looking to retire quite yet. I’m not going to rant + rave about Austin. The grumpy old man inside me wants to talk about how it was ‘cooler’ years ago – but the primary aim – to be completely straightforward is to work and workout the next six months. We’re growing the meal plans business, launching a web version of MoveWell, and launching a whole new business line here at IMPOSSIBLE. I mentioned in the Year end review that there’s just some things I need to get done – so I’m going to do them. Austin is a good place to do that. Maybe not perfect, but right now – good is good enough. I’m not saying I won’t ever be back in San Diego, but for now, I’ve got to put my head down and get to work . Welcome to town!!! Also, this weather is not for real, just a teaser for spring!